The 1965 Federal Election was held on November 8th, 1965. Note : Formed on May 4, 1958, as the Ralliement des créditistes du Canada, the Quebec wing of the Social Credit Party of Canada. Recorded as Social Credit inside and outside Quebec in federal elections at which the unified party ran candidates across the country (except 1965 and 1968). 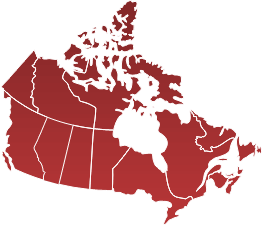 All but four of the Social Credit Party of Canada's 29 MPs elected in 1962 came from Quebec. Twenty Social Credit MPs were elected in Quebec and 3 from the rest of the country in the 1963 federal election. The Quebec wing then split from the federal party later in 1963 as the Ralliement des créditistes, or Social Credit Rally. Thirteen Quebec MPs stayed with the new party, five ran in the next election as independents, and two joined the Progressive Conservative Party of Canada. In October 1967, the Ralliement des créditistes changed its name to Ralliement créditiste. In the 1968 federal election, the Social Credit Party won no seats in the House of Commons, while Ralliement créditiste returned 14 MPs. In 1971, the Ralliement créditiste rejoined the Social Credit Party of Canada with Réal Caouette elected national leader. Note : Recorded incorrectly in the Canadian Parliamentary Library database as The New Canada Party in three Ontario districts in the federal election of 1965.